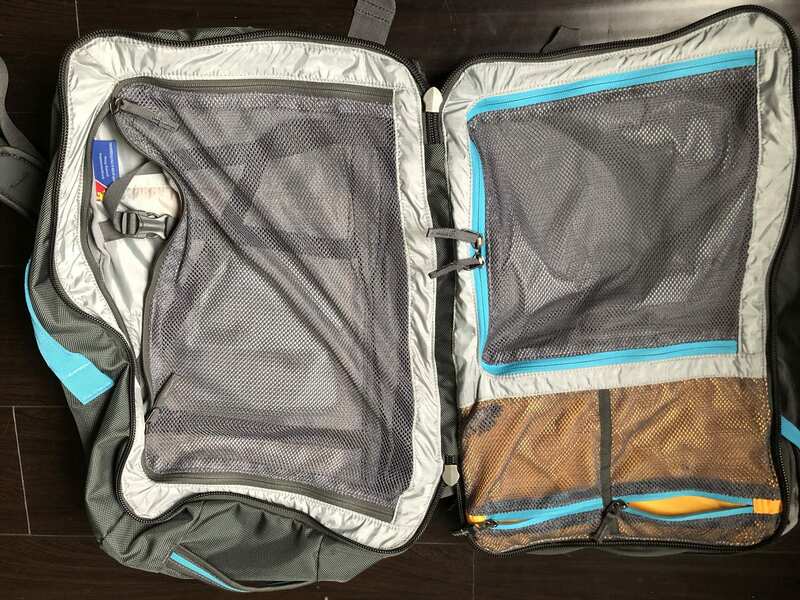 The Cotopaxi Allpa 35L Travel Pack is my favorite backpack ever! 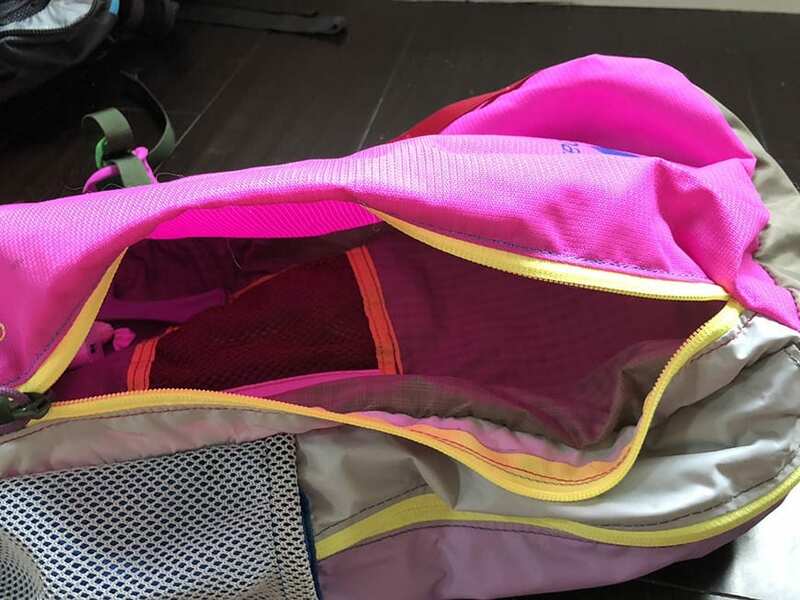 Its the perfect carry on for international travel for women and fits a ton of stuff! The shoulder straps are padded and super comfy and there is a hip belt available to help support heavy loads comfortably. 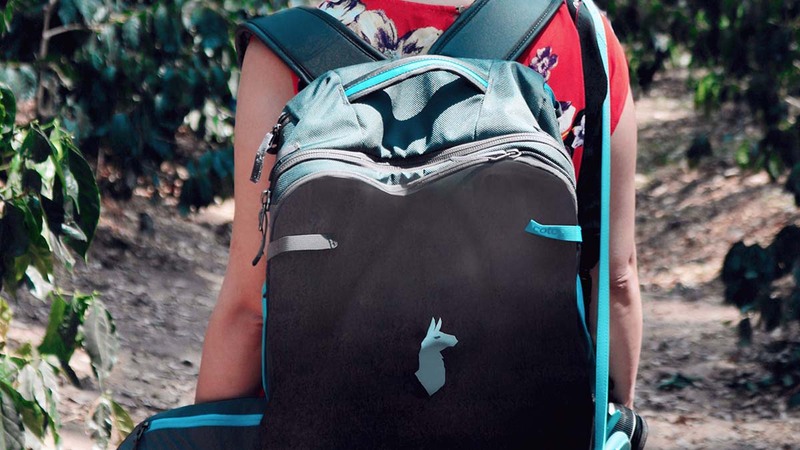 I love how the backpack opens up completely, suitcase style and its available in blue and black. 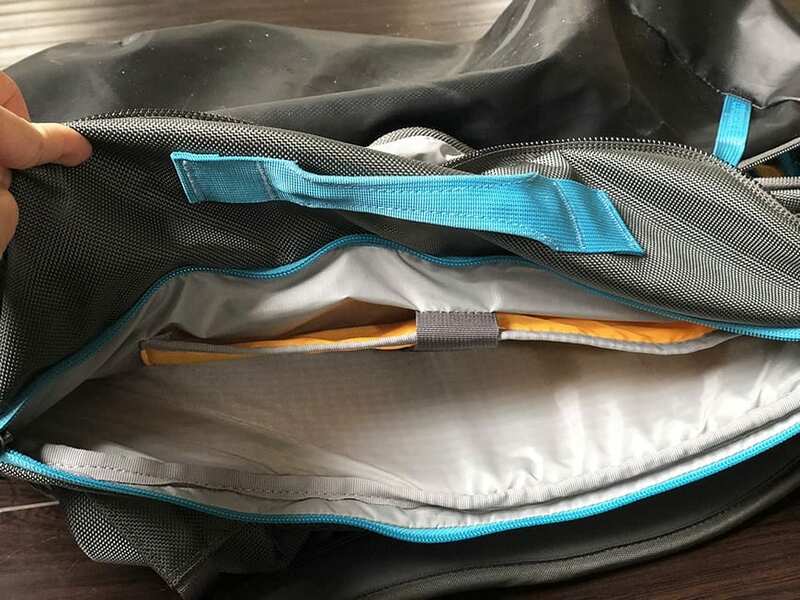 There is a padded laptop sleeve which makes it super convenient for going through airport security lines, you can easily slide your laptop in and out of your backpack. The compartment on top is ideal for your wallet and passports and things that you need quick and frequent access to while traveling. 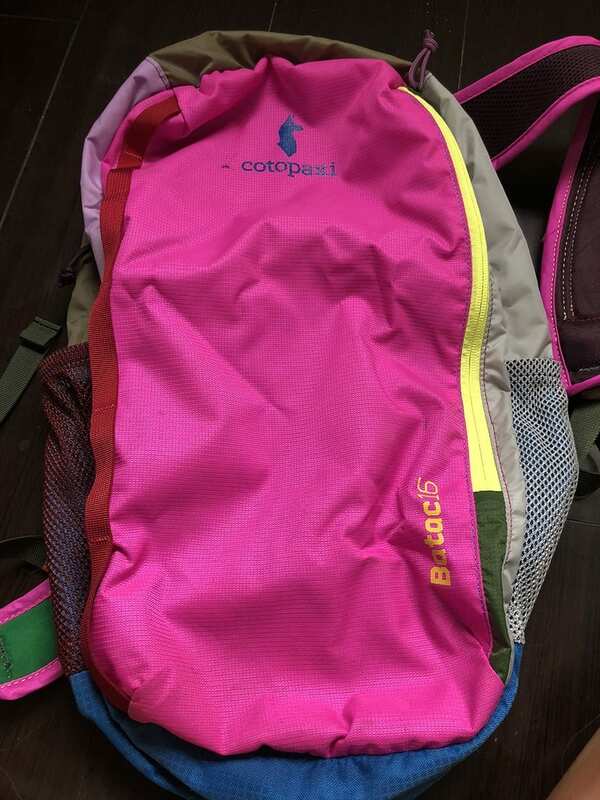 I first tested the Cotopaxi Allpa with me on my recent trip to Southern India and I was super pleased with its performance. 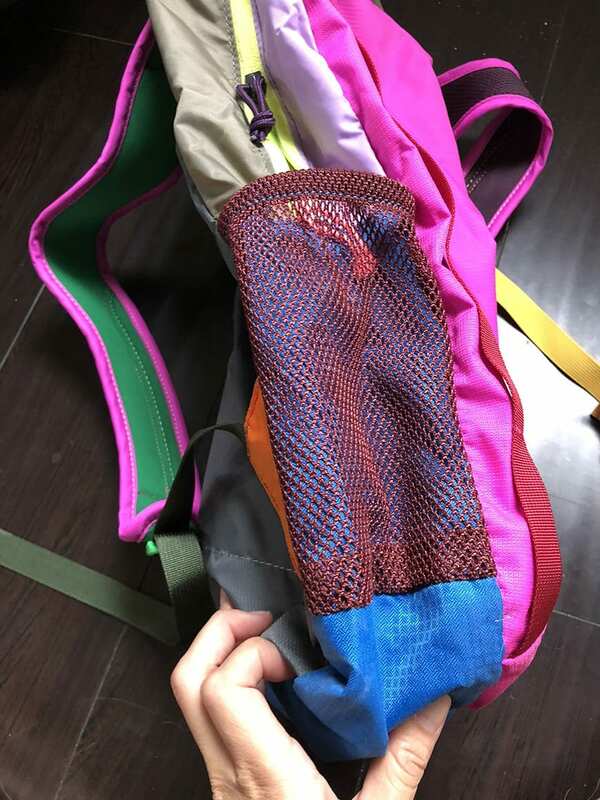 The outer material of the backpack is super durable it features 1680D ballistic nylon paneling and TPU-coated 1000D polyester which gives the outer exterior of the backpack a cool glossy look. 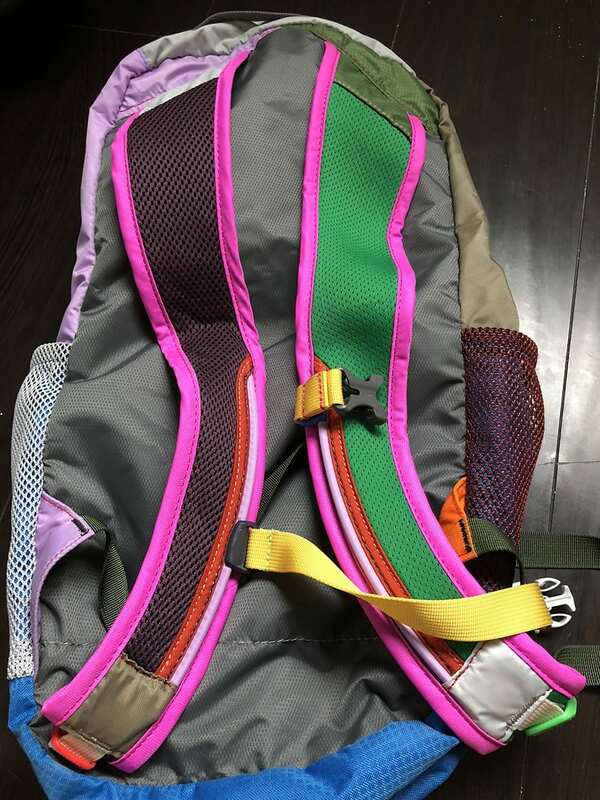 Theres also a harness built into the backpack for optimal weight distribution. 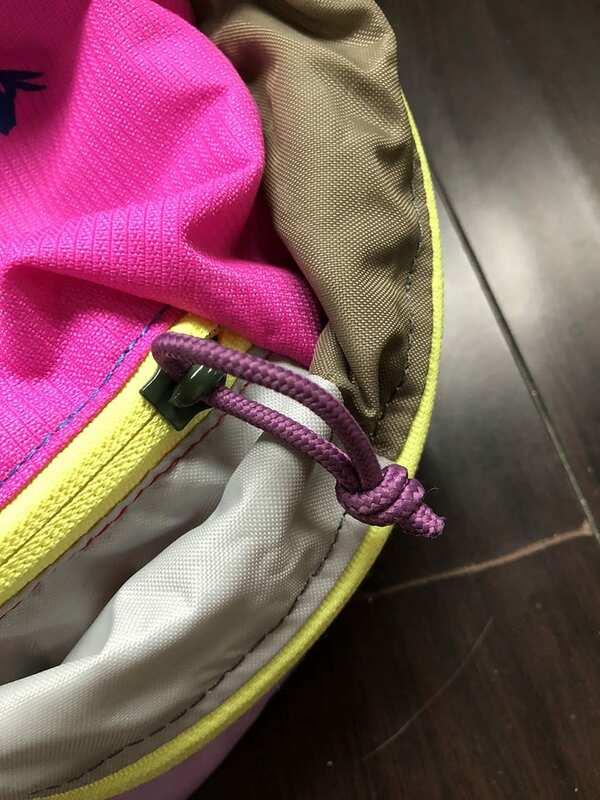 This is one of my favorite features of the backpack. 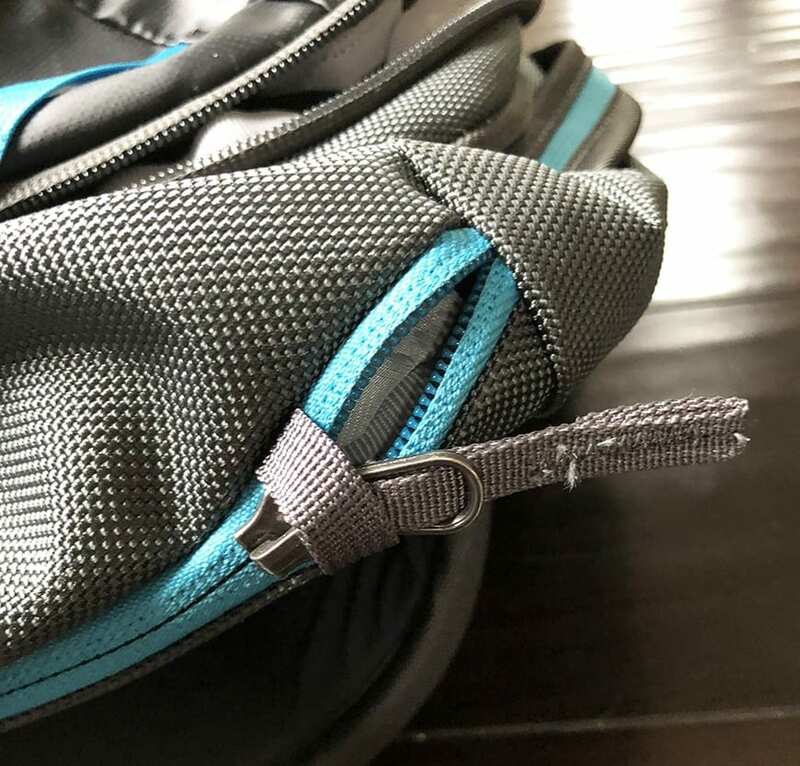 It has a zipper that allows it to open up completely just like a suitcase so you have easy access to all your essentials. 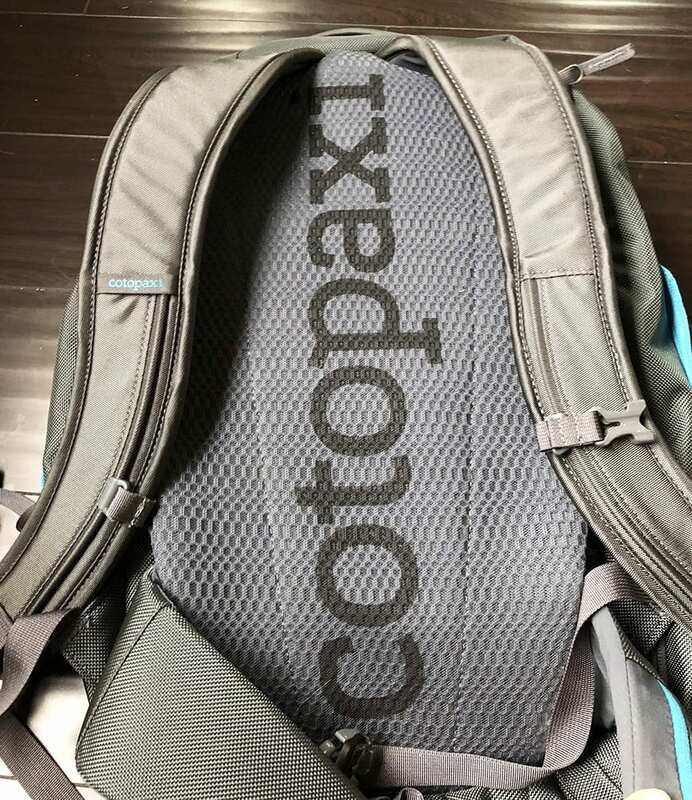 The Cotopaxi Allpa 35L has a front pocket that opens up from the top so that you can quickly grab your passport, wallet, etc. Throughout the backpack exterior are a total of 4 reinforced straps so you can easily lift this baby into the carry on of airplanes. I use this as my second piece of carry on luggage on trips so these straps are definitely super convenient. 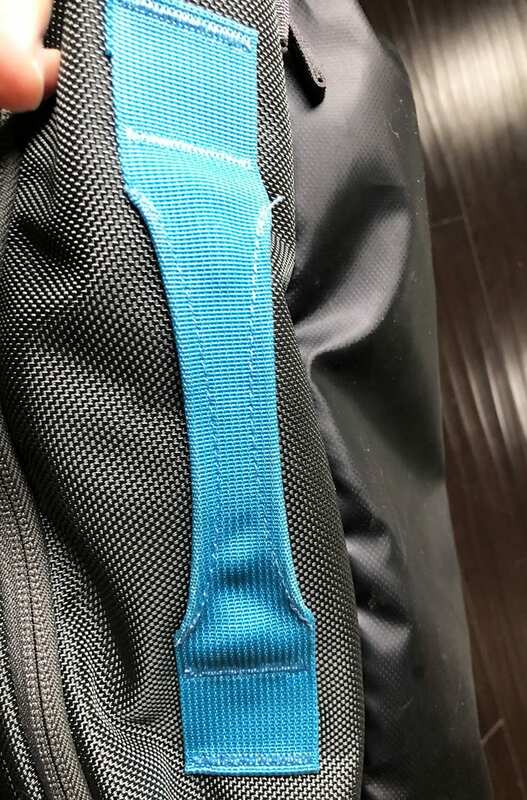 This safety feature is super nifty, these are security YKK zippers. You don't have to worry about sneaky pickpockets on the streets as this safety feature makes the zippers difficult to quickly open. 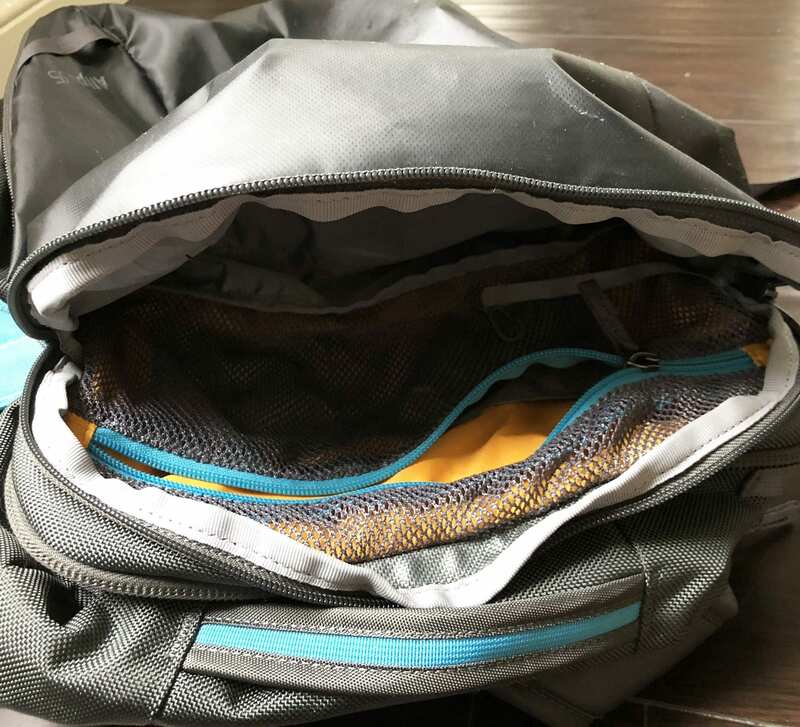 The side pocket is ideal for books and notebooks and there is a padded laptop sleeve. I love how you can insert the laptop into the side, it makes it easy to pull out the laptop for security checkin. 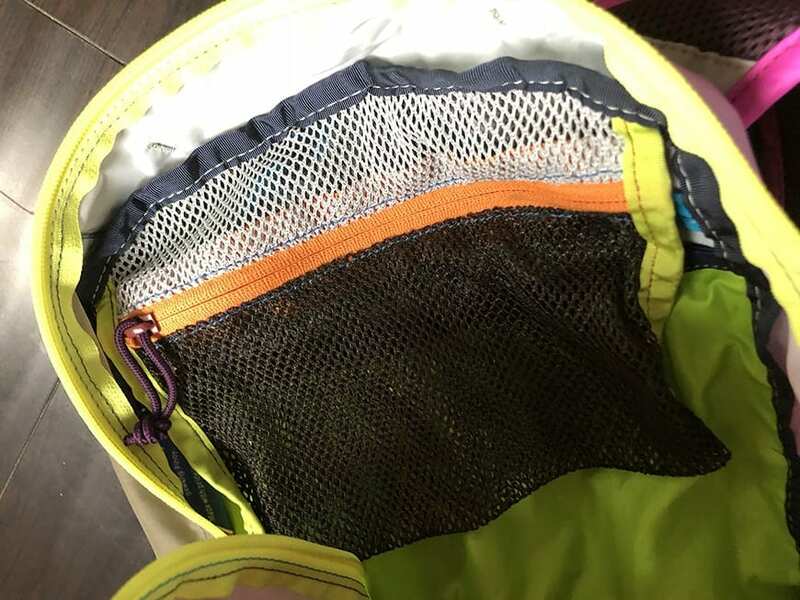 The back of the backpack features a breathable mesh and is padded for comfort. The straps are adjustable and also padded for comfort. 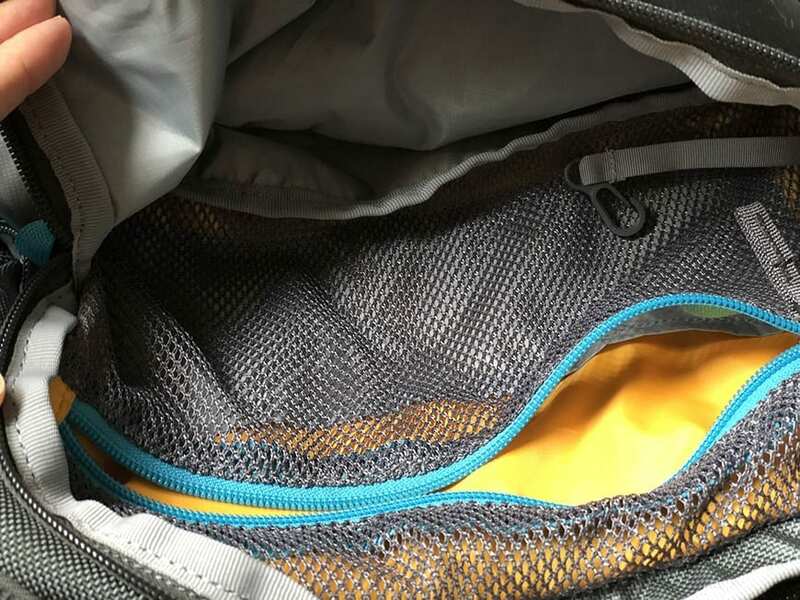 There's also a slotted back panel which you can tuck your straps into so there are no extra loose ends sticking out when you are carrying on your backpack and storing it in the overhead bins. Don't you worry if it rains! 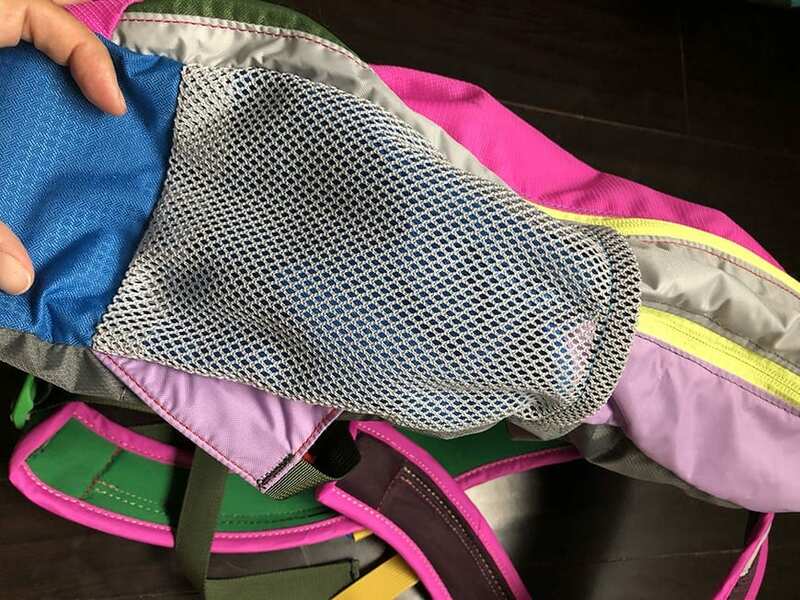 There is a rain cover also included in the backpack that will cover it up and keep it nice and dry. 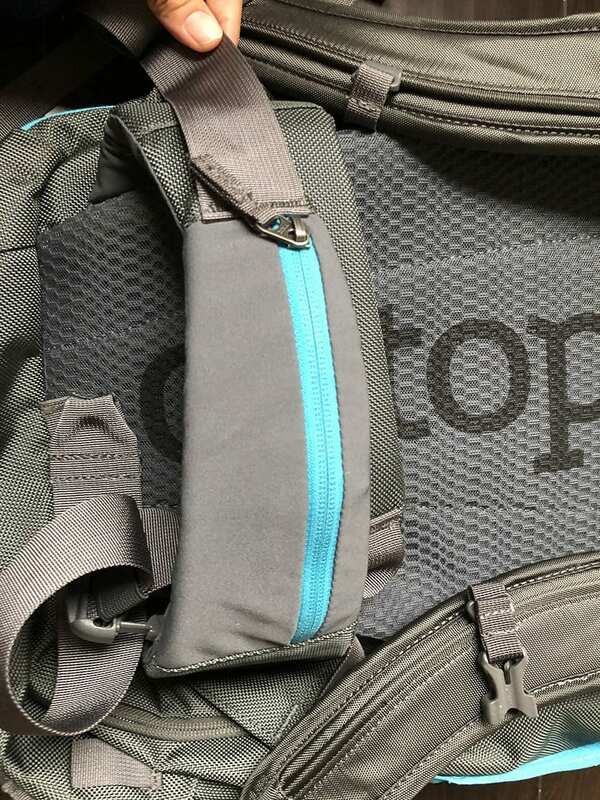 The Cotopaxi Allpa 35L also includes a waist strap for extra safety and to distribute any heavy weight across your entire body. I love this zippered pocket that comes on the waist strap. 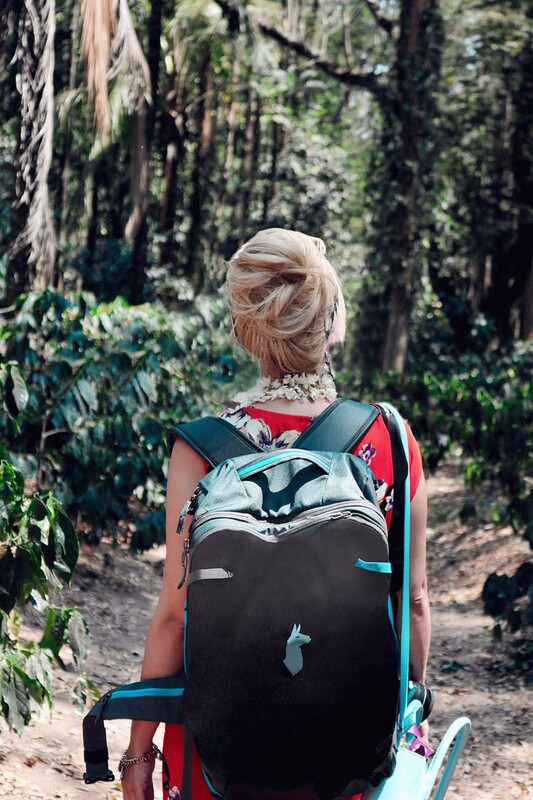 The Cotopaxi Allpa 3L also comes with this cute little daypack. Totally my style and color scheme!